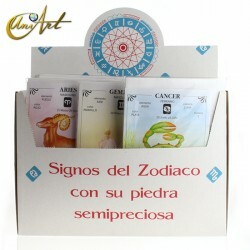 In our online shop we offer you a collection of natural stones with the horoscope signs engraved by hand through a process of handcraft. 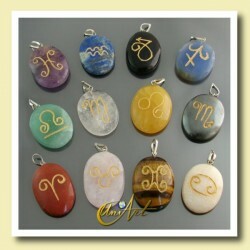 These zodiac stones interact with the horoscope signs according to the properties of each crystal and depending on the sign of their carving. In addition, the power of each crystal increases the positive energy of each sign, stimulating balance and recharging mood. The stones act reducing personal weaknesses and reinforcing their qualities.